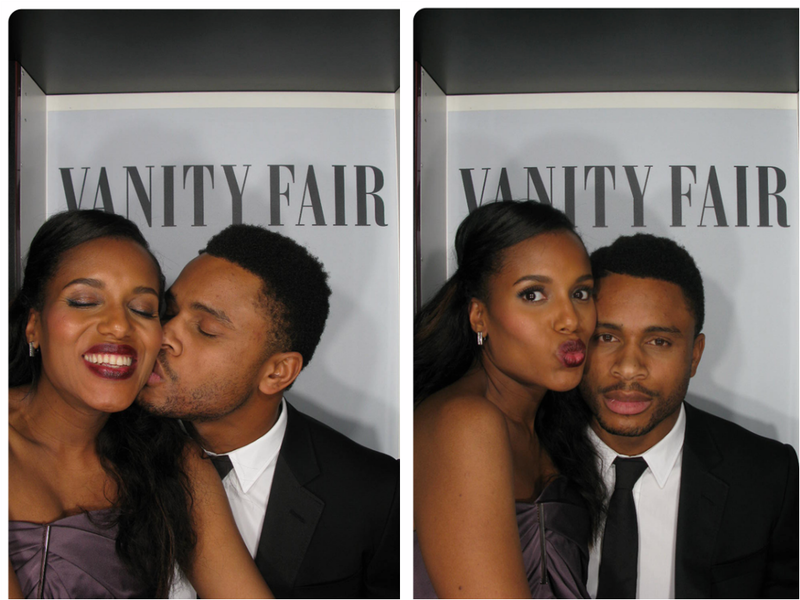 Kerry Washington Already Separated From Husband Nnamdi Asomugha? I believe these are bad belle people, or what else can it be? Kerry Washington famed for her role in Scandal as go-getter Olivia Pope, does not like to put her personal life on blast and prefer people talk about her career instead. But since her marriage to Nigerian American NFL player, Nnamdi Asomugha, and the birth of their daughter several months ago, that is all some tabloids want to focus on. And this time, they are using her close-mouthed nature to attack her marriage. "Washington rarely talks about her marriage or the couple’s 7-month-old daughter Isabelle. Many suspect the Scandal star is just protecting her family’s privacy. But an insider told OK! that even though they’ve been married for over one year, Washington has “spent very little time” with her hubby, hinting that even if they were more open, Washington and her former footballer husband wouldn’t have much to tell about their relationship since they are rarely together."